Infini is an FDA-approved bipolar radiofrequency device that we use for treating acne scars as well as tightening and lifting skin of the face & neck. 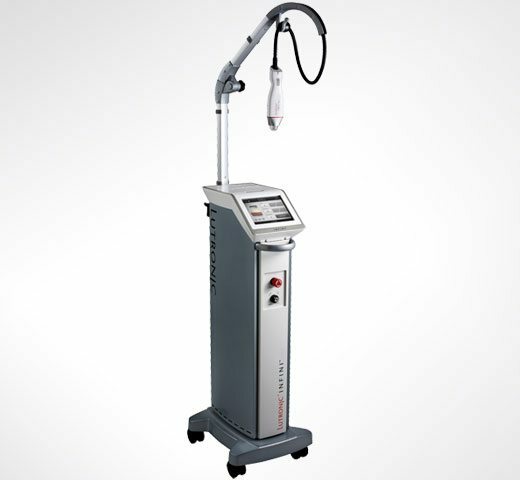 Infini works by fractionally heating beneath the surface of the skin. This heating sends a signal to your skin that it needs to produce more collagen & elastin in the area. Infini is an great choice for people of all skin types with mild to moderate laxity, wrinkles or acne scarring of the face & neck. Over time and with each session, you should expect improvement in the texture & laxity of your skin. The number of treatment sessions needed depends on both the amount and type of skin damage being addressed. Am I a good candidate for Infini? If you are interested in the Infini procedure, the first step is to see one of our board-certified physicians for a consultation. They will be able to tell you whether or not you would benefit from this treatment. What are the side effects of Infini? Any downtime? Side effects & downtime are variable depending on the treatment settings and the area treated. Most patients experience redness, swelling & bruising in the treatment area that resolves over the course of approximately 3 to 5 days. If bruising occurs after Infini, we can treat them with a vascular laser at no charge to you in order to make them resolve more quickly. There are very few limitations post-treatment, but we will discuss this in detail with you at the time of your consultation. When will I see results from Infini? How long will they last? Some results are seen approximately one week after Infini, but patients continue to see an improvement in their skin with subsequent sessions. The longevity of the results will depend based on your overall skin quality (sun damage, aging skin), however, the newly produced collagen should remain stable for several years post-treatment.